We love seeing renewable energy initiatives in Nevada, where AIMS Power was born. A venture aptly named the Clean Energy Project, CEP, worked with Green Chips and the Clark County Commission to install solar panels for powering the “Welcome to Fabulous Las Vegas” sign with Nevada’s own solar energy. The sign was powered by the sun January 8. 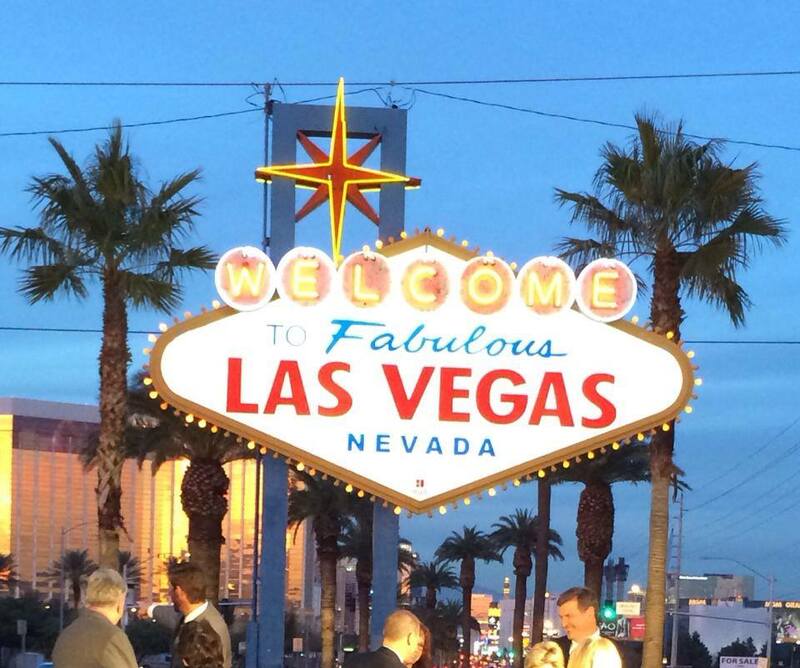 The Clean Energy Project (CEP) powers the iconic Las Vegas sign with solar energy. The solar tree installation allows The Strip’s most iconic landmark’s legendary neon and incandescent lights to run solely on harnessed solar energy. Converting this iconic sign’s power source to solar will provide an example to our community that clean renewable energy can help power businesses, homes or even signs throughout Nevada. 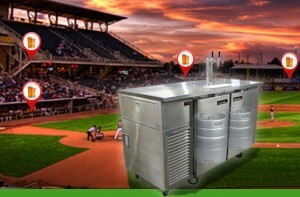 What a great way to spread awareness about the benefits of sustainability and renewable energy! Want to be part of the movement? Visit AIMScorp.net for all your solar needs. 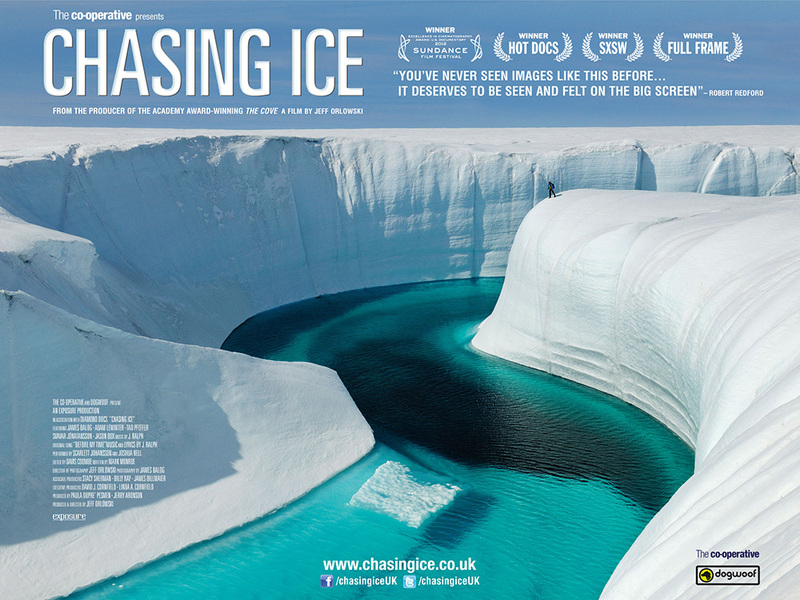 I highly recommend watching “Chasing Ice” — a documentary about the efforts of photographer James Balog and his Extreme Ice Survey that shines light on the effects of climate change, directed by Jeff Orlowski. The film conveys this message with breathtaking time-lapse video of the controlled-demolition-like retreat and shrinkage of the world’s glaciers. You truly must see this if not for the nature and importance of the message then most definitely for the sheer awe-factor of witnessing these monstrosities collapse into the world’s oceans. The fact is that 95 percent of the Earth’s glaciers (outside of Antarctica) are either retreating or shrinking, and through the past decade or so, it’s done it at a rate twice as fast as the cumulative movement during the 100 years prior in some cases, according to Balog. The problem isn’t that we can’t handle it technologically, economically, or even policy-wise. The problem, he notes in a Ted Talk, is one of perception. AIMS Power inverters are the backbone of the world’s most versatile portable green-energy generator, unveiled at EMEX in Reno, Nevada, Oct. 28-30. The Emergency Management and Homeland Security Expo (EMEX), an annual tradeshow put on by the International Association of Emergency Managers (IAEM), features AIMS Power as an exhibitor during the event at Silver Legacy in Reno, Nevada. AIMS Power, an off-grid and renewable energy company based in Reno, plans to showcase its newest product, which they claim is the “world’s most versatile” portable green-energy generator. Engineers at AIMS Power claim this is the "world's most versatile" green-energy generator. The product is manufactured in Reno and boasts more than 25 different models, including some with solar capabilities, to satisfy a wide-range of applications. A DC to AC inverter could be the solution for all your landscaping needs this fall season. Use an AIMS Power inverter for mobile power to run landscaping equipment like an electric chainsaw, weed wacker, etc. and even to power an outdoor lighting or fountain setup. 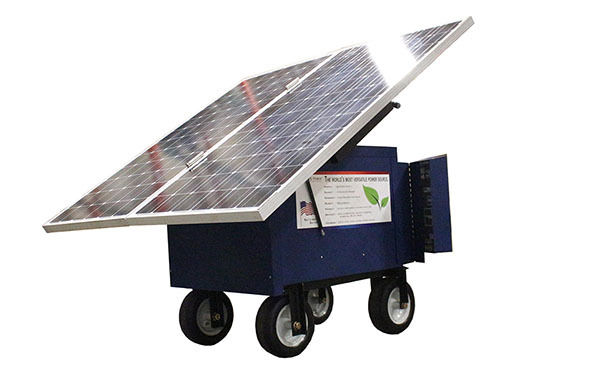 An old pickup truck toolbox turned into a portable green-energy trailer with a 2500 watt AIMS Power inverter, two deep-cycle batteries, solar panels and a solar charge controller for mobile landscaping power. 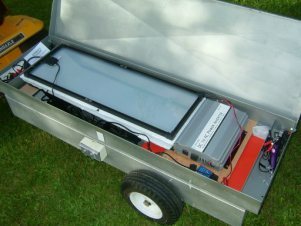 One of our savvy customers, Dennis Evers, rigged an old pickup truck toolbox into a portable green-energy trailer with a 2500 watt AIMS Power inverter, two deep-cycle batteries, solar panels and a solar charge controller. He now has easy access to electricity wherever he’s doing yard work on his property, and he’ll even have it in the event of a power outage or gas shortage. You could also use an inverter and a solar array to run yard accessories or other garden decorations that need electricity. AIMS Power sells 30, 60, 120 and 230 watt solar panels as well as everything else you’ll need to get this system up and running, and our tech support team is on hand with any technical questions you might have. AIMS Power inverters celebrates 12 years of business in 2013. To celebrate, the president & founder, Bruce de Jong, tells the company’s story. 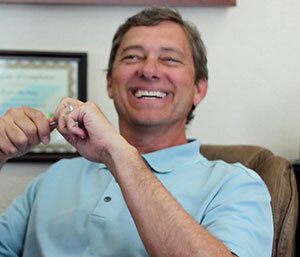 AIMS Power president & founder, Bruce de Jong during the interview for this story in his Reno, Nevada office. AIMS Power inverters were born from one man’s garage, one man’s sanctuary in Reno, Nevada. de Jong utilized the resource for about a year starting in February 2001, dedicating late nights developing inverter designs and researching renewable energy markets, waking up at sunrise to land deals and ship them the same day — all from the limited space normally meant for parking his car. Part of his motivation came from the prospect of building a family, as he married his now wife of 12 years, Laura de Jong, that same year. Part of it came from the desire to do business better than the “horrible bosses” he had in the past, but most of it came from the simple desire for more freedom and security in life. With a college degree and more than a handful of business experience under his belt, an inspired de Jong led the way in developing the most extensive line of inverters available on the market today, boasting 52 different models to meet customers’ varying needs. AIMS Power inverters will be represented at a tradeshow, the ICUEE (International Construction & Utility Equipment Exposition), also known as the Demo Expo, for their first time ever October 1-3. As a prelude to the event, we’re proud to share this informational video about power inverters with you. It will be playing on repeat, along with a few other videos, at our tradeshow booth in Lousville, Kentucky next week! What is a power inverter? 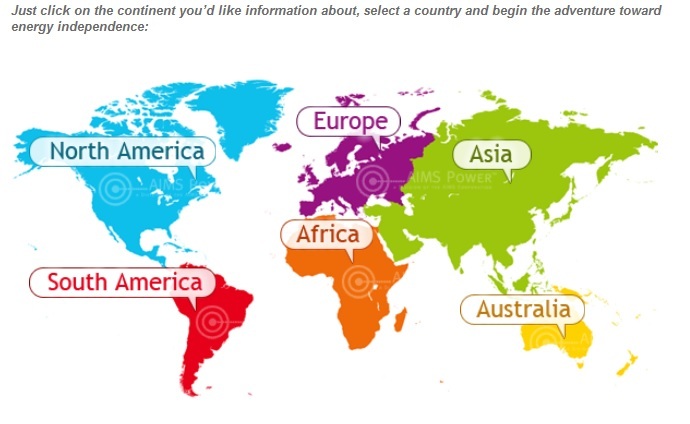 Click ‘continue reading’ below, watch and learn. The man National Geographic dubbed “The Godfather Prepper” says having emergency backup power is a top priority & an AIMS Power inverter is his tool of choice. September is Federal Emergency Management Association (FEMA) National Preparedness Month, and Dennis Evers might just be one of the most prepared men in America. What’s Evers’ secret? 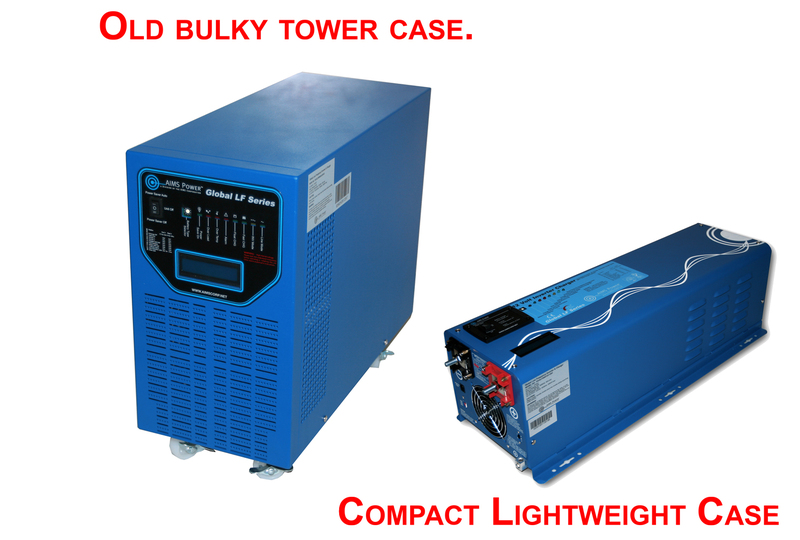 Part of it is having an AIMS Power Inverter for an emergency backup power system, because it’s necessary in preparing for just about anything. 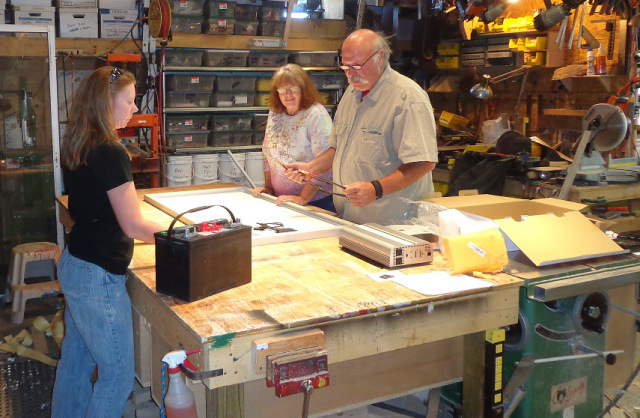 Dennis Evers, The man National Geographic dubbed "The Godfather Prepper", says having an AIMS Power inverter should be first on your checklist for National Preparedness Month in September. Evers’ preparation skills were made famous on National Geographic’s popular show “Doomsday Preppers”, and he says that behind food, water, and shelter — having electricity is essential in a disaster situation.